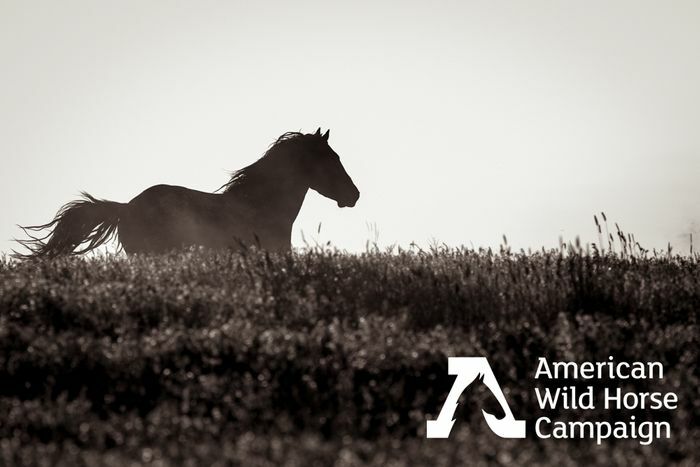 AWHC is committed to advancing federal and state legislation to improve the welfare of wild horses and burros on the range and in government holding facilities. We have amassed a strong record of successful litigation to protect wild horses and burros on our public lands. We are implementing the largest humane management program for wild horses in the world through a public/private partnership with the State of Nevada to protect Nevada’s historic Virginia Range wild horses. We are growing the grassroots army of citizens willing to stand up for mustangs and burros and now have a international following of more than 600,000 citizens! Each year, the Interior Department Bureau of Land Management (BLM) uses low flying helicopters to brutally round up and remove wild horses and burros by the thousands from Western public lands. Wild horses occupy just a small fraction (12 percent) of BLM-managed lands, but ranchers who influence BLM policy view wild horses as competition for cheap, taxpayer-subsidized livestock grazing on public lands. The wild horses and burros who survive roundups and can’t be adopted or auctioned off are sentenced to a lifetime of being warehoused in government holding facilities, or worse, end up in the slaughter pipeline. The federal government’s brutal and inhumane roundup practices are optional. We have a choice to continue to spend millions upon millions of taxpayer dollars to have terrorize wild horses and burros with helicopters, stampede them into pens and confine them for life or worse, kill or slaughter them, or we can manage them in the wild using a humane, effective and cheaper alternative: PZP birth control. This safe and proven vaccine prevents pregnancy in mares, but preserves the natural behaviors that distinguish wild horses from their domestic counterparts.